With its thatched roof cottages and cobblestone streets, it’s no wonder why so many tourists flock to the Cotswolds in droves. Plenty of tours come in from London filled with people trying to see the “real” English countryside, which unfortunately means expensive accommodations, touristy pubs, and, in the high season, crowded streets blocking you from getting that picture-perfect view. No matter — there’s another region further south in England that offers traditional villages, historical significance, and spectacular rural landscapes all without the crowds: Blackmore Vale. Tucked southwest of London between North Dorset and South Somerset, Blackmore Vale is one of the most charming spots in all of the United Kingdom. You must set out both by car and on foot to the historic sites and quaint villages; only then can you taste the old England and see for yourself what makes this region a must-do for those looking to escape London’s urban grind. 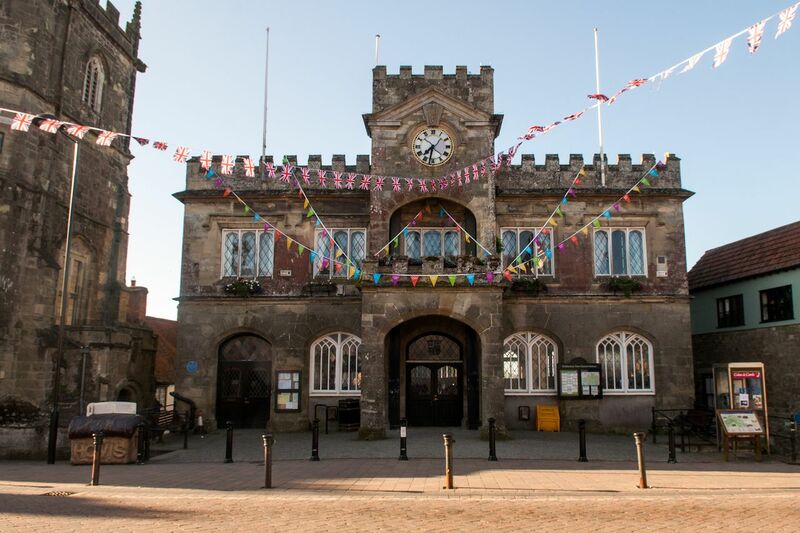 Here’s how to discover Blackmore Vale’s rich history, warm community, and beautiful views that are straight out of a fairytale. Start with a walk around Iron Age hillforts. 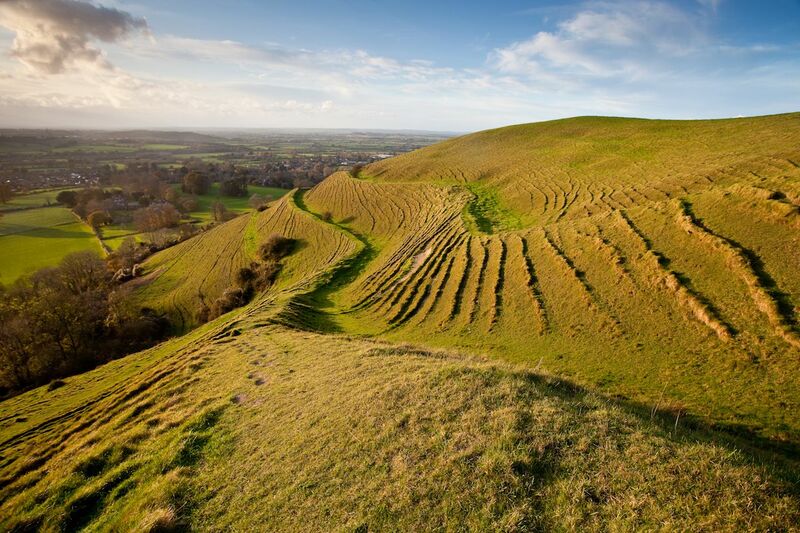 The views from the top of Hambledon Hill are enough to take your breath away. This ancient hill, occupied in Neolithic times, is best known for its Iron Age settlement. The location was occupied by the Durotriges tribe, and during the English Civil War, it was the site of the Battle of Hambledon Hill. Today, distinctive rings around the perimeter mark out the signs of its settlement more than 2,000 years ago. Although it was abandoned in 300 BC, you can still walk around the traces of the defenses and imagine what it must have been like to have been on the lookout for invading rival tribes back in those times. If you’re hooked on hikes to former battle sites, nearby Hod Hill is similar, and they are both offer fantastic views. Get “the shot” atop Gold Hill. 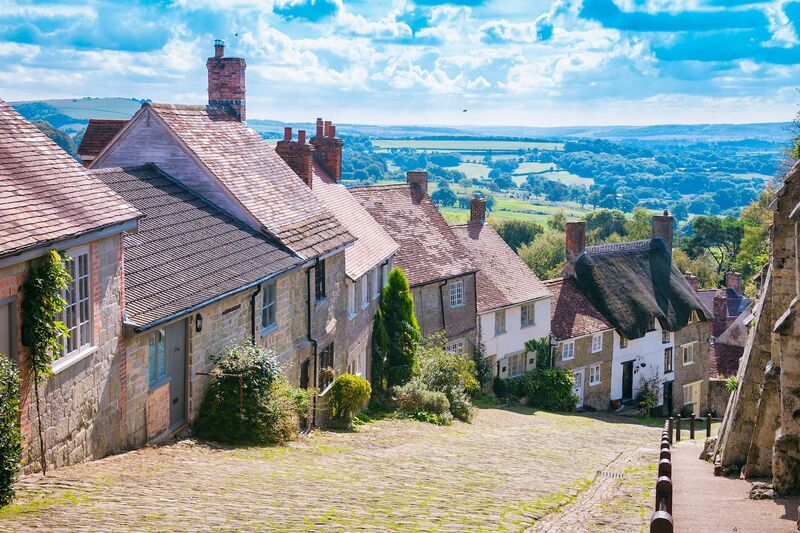 The hilltop town of Shaftesbury was founded by King Alfred the Great in 880 AD, and even today, it’s one of the most beautiful parts of the Blackmore Vale. It’s also quite easy to access, just off the A350 highway in Dorset. 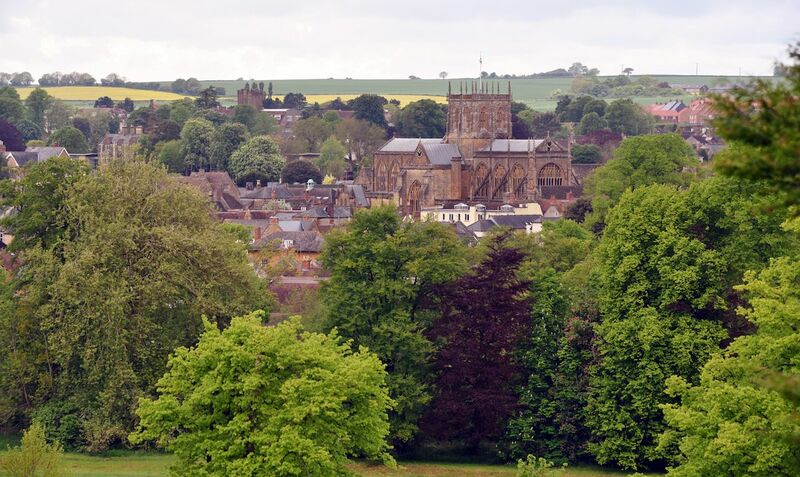 On the edge of town is Shaftesbury Abbey, also founded by King Alfred, where today you can walk around the ruins and museum on this large garden plot. The walled garden and museum tell the story of the Benedictine nunnery King Alfred, founded on the site more than 1000 years ago, before an order of destruction was filed by King Henry VIII in 1539. In a more modern reference, most people come to Shaftesbury to see the quaint Gold Hill — which has starred in numerous TV adverts and movies and is one of the steepest hills in the area. Cottages clustered into the sides of the hill all lean against each other, creating an unmatched photo opportunity. You’ll get the most stunning shot if you arrive early for sunrise. About a half-hour drive west, the honey-colored buildings of Sherborne give the village a warm feel. This country town is full of independent businesses and is famous for Sherborne Abbey, a magnificent piece of architecture where Alfred the Great’s brothers are buried. Nearby, Sherborne Castle was once owned by Sir Walter Raleigh. The village of Milton Abbas is tucked away in the Dorset countryside, full of gorgeous thatched cottages, but its story is what sets it apart from other picturesque villages. In the 1780s, the local landowner decided that the village — with its seemingly unpleasant conical structures called hovels — spoiled the view across his land. In retaliation, he forced everyone to relocate a mile down the road, a move that hasn’t been forgotten despite the passage of nearly 250 years. Every other year, the entire village turns the clock back for the Milton Abbas Street Fair to celebrate the famous house move. 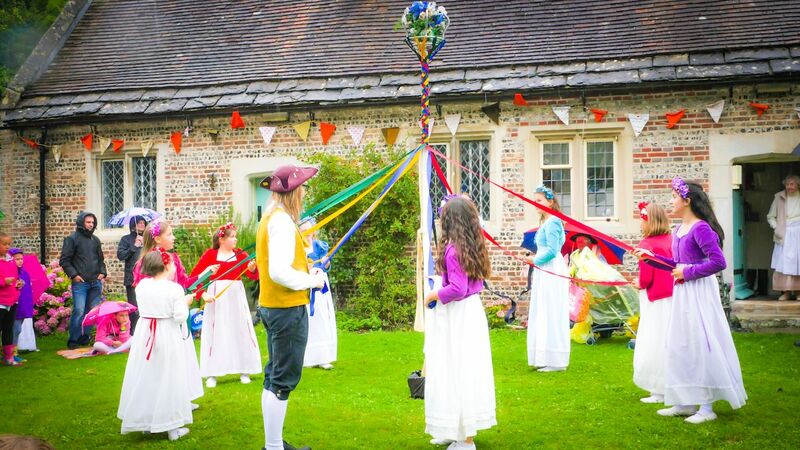 If you can make it, the party takes place in July and is complete with Morris dancing, traditional music, and street food. See the towns that inspired Thomas Hardy’s novels. Most towns and villages in North Dorset have a second name given to them by Thomas Hardy in his novels. Stourcastle from Tess of the D’Urbervilles is actually Sturminster Newton, a town Hardy lived in throughout his early writing days. Sherton Abbas, the setting of The Woodlanders, is, in reality, the town of Sherborne. When Hardy famously described the Vale of a Hundred Dairies, he was talking about the Blackmore Vale. One look at the honey-colored cottages and pastoral landscape, and you will see why Thomas Hardy was inspired to write stories based on these settings. Feel welcomed into the region’s strong sense of community. One of the best and most unique things about the Blackmore Vale is its preserved sense of community. It’s the kind of place where locals volunteer to keep the area an interesting place to visit and a wonderful place to live. You’ll see this spirit in the village centers and stores run by residents to keep the service open in a rural community, such as the award-winning Motcombe Community Shop near Shaftesbury, which serves as a cafe, post office, and dry cleaners. A new walking trail spanning 50 miles of Blackmore Vale countryside to connect towns and villages, known as the White Hart Link, is maintained by local communities and volunteers. In 1963 the Shillingstone Station closed, but today, volunteers have a local museum and tearoom that features restored vintage engines and parts of the old railroad track. This amazing project is on the North Dorset Trailway, another wonderful walking and cycling route in the area. One of the world’s most famous festivals, the Great Dorset Steam Fair, started out right here in the Blackmore Vale just over 50 years ago and is a major attraction even today.